Cracks in silicon solar cells composing photovoltaic (PV) modules are originated from production, transportation, installation, and exposure of the modules to the environment. The economic impact of cracking in PV modules can been assessed in about 6 Euro/(kWp year) due to the cost of repair/substitution and the missing electric production while cracks are not yet observable. This has a clear huge technological and economic impact on the market, and it can be estimated in about 180 MEuro/year of losses, by considering a conservative amount of 30 GWp of new installations in the World per year. 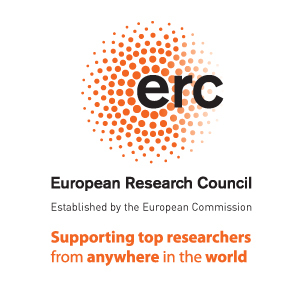 If cracking cannot be avoided due to the intrinsic brittleness of silicon, the present ERC Proof of Concept has proposed a new technological method to limit the effect of cracking as much as possible, and it has proved its feasibility by realising prototypes at the laboratory scale. Specifically, a pre-stressing technique has been proposed to increase residual compressive stresses in silicon and induce crack face contact and electric recovery, consistently with the key findings obtained within the ERC StG CA2PVM project. As a result, a patent application has been made on the innovative PV laminator for the application of pre-stressing and on the innovative design of the PV modules that can be produced with this technology. Intersolar Europe 2018, Munich (Germany), June 2018. Materials 2018, Veldhoven (The Netherlands), May 2018. 9th Compotec High-Tech composite material fair, Marina di Carrara (Italy), April 2018. 6th A11 venture Pitch day (as selected audience), Lucca (Italy), November 2017. ASTP-Proton Visit at the High Tech Campus Eindhoven and Philips, Eindhoven (The Netherlands), October 2017. MIAC - Mostra Internazionale dell'Industria Cartaria 2017, Lucca (Italy), October 2017. JoTTO Fair, Pisa (Italy), September 2017. Borsa della ricerca 2017, Salerno (Italy), May 2017. 5th A11 venture Pitch day (as selected audience), Lucca (Italy), May 2017. Energie rinnovabili e riciclo dei materiali, public seminar to high-schools at BRIGHT! Night of Researchers in Tuscany, an event promoted by Marie Curie Actions and Tuscany Region, Lucca, Italy, September 27, 2017. Durability and innovative materials for photovoltaics, public seminar at Campus Party Italia, 2017.